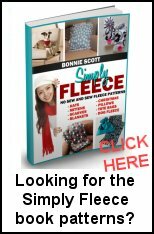 Free felted crochet patterns include instructions for felting your piece, as well as suggested materials to complete the project. Worsted or merino wool is the typical yarn to use for your projects and felts beautifully. Felted mittens, hats and scarves are warm to keep you toasty all winter long. Felted totes, purses and bags are stylish accessories that look great in any size or color. Felted coasters, potholders and a cozy cat bed are just a few of the accessories you can make with free felted crochet patterns. Felting makes projects durable and water resistant, while crochet is easy and fun to learn.